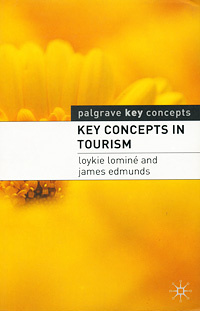 This book provides an accessible and comprehensive guide to the major themes, concepts, terms and theorists encountered by students of Tourism. Concepts are listed alphabetically and cross-referenced for ease of use. Tables and figures complement the text, and to help explain complex terminology. A comprehensive index is also provided, allowing the reader to follow themes running through the entries. The book is an ideal reference and a perfect revision aid. Формат: 14 см x 21,5 cм.